RowingPad™, a subsidiary of New Hampshire-based materials manufacturing company Spectex, is a labor of love. Founded by competitive rowers, the company produces top-of-the-line rowing seat pads for boat and ergometer use. It had a prestigious customer base but needed a new e-commerce website and a strategy for reaching customers beyond the local rowing circles. 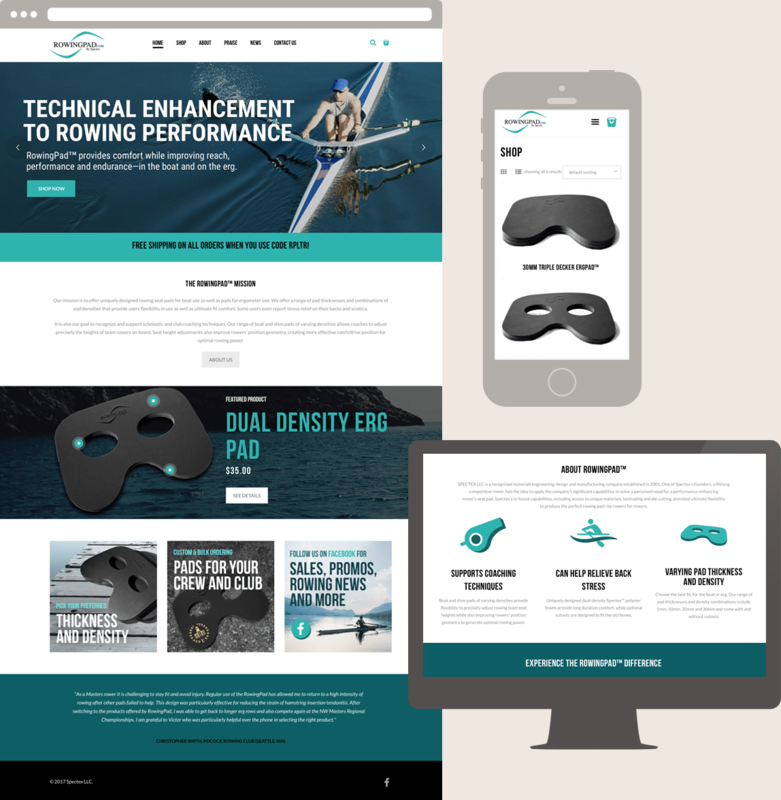 Upper Notch worked with development partner Creative Logic to customize a WordPress site for RowingPad™ enabled with WooCommerce. Original blog posts combine with regular social media outreach to increase brand awareness and attract new visitors to the site.